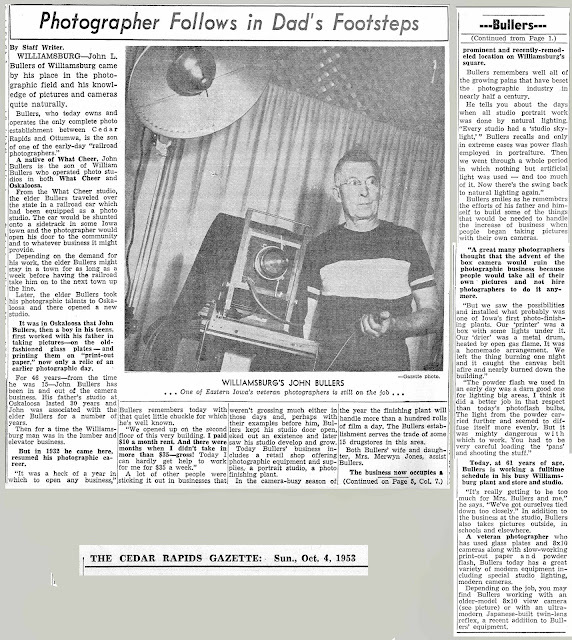 Nothing has been found so far that documents exactly when Morse was in What Cheer, IA. It was probably a temporary studio during the time his main studio was in Davenport, IA, as they are only about 90 miles apart. 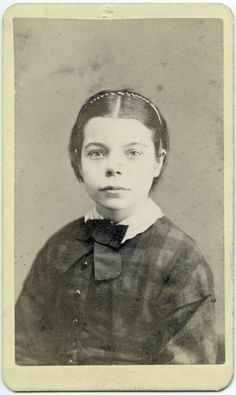 No records after 1885 show Morse as a photographer. 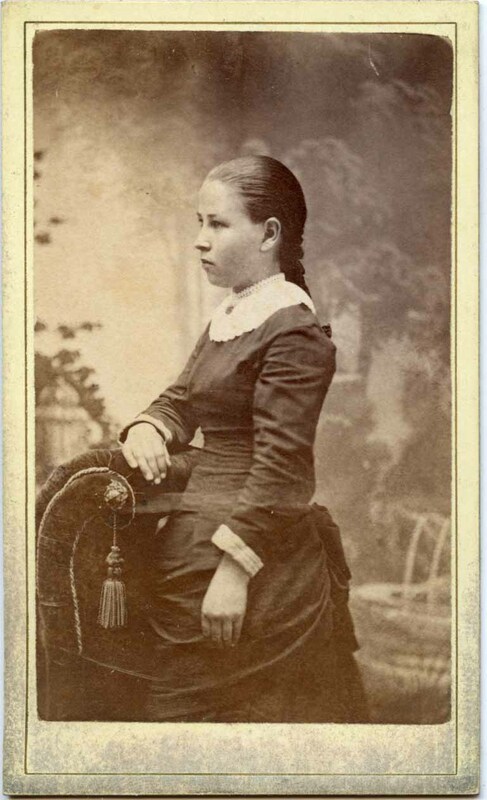 The style of the card at the top indicates it is probably from about 1875 to 1880. 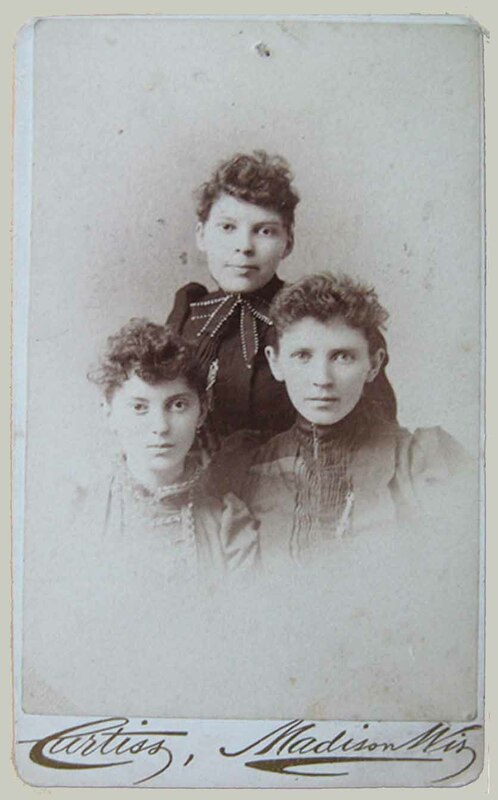 Unfortunately, the reverse showing the photographer name is not available. US census shows William (age 15) and father John as Coal Miners in Mahanoy, Schuylkill Co., PA living with his parents and siblings. William is in What Cheer, IA, and marries Mary Louise Gruber. Also, in 1882 he started his own studio in What Cheer. 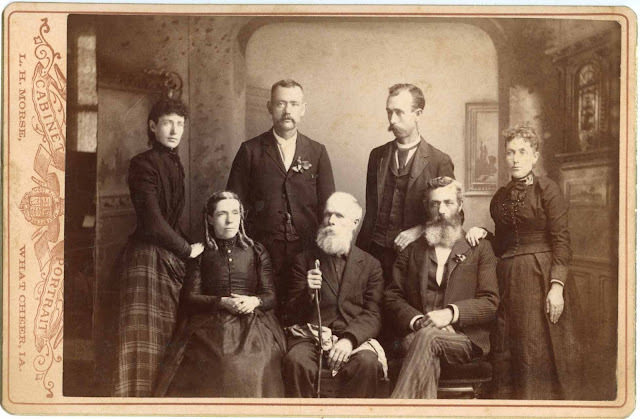 It is unknown when he opened a studio for sure at Muchakinock, IA. 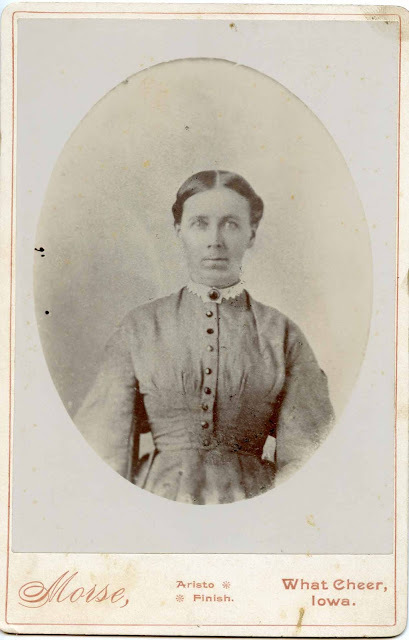 Sometime after about 1883 he begins work with photographer W R Wheeler possibly as an apprentice to start. 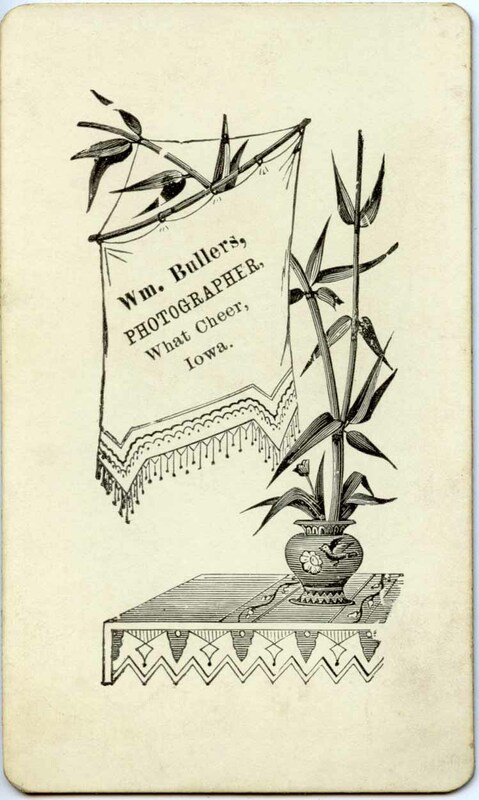 Their first three sons William Gruber Bullers in 1887, Perry Ferguson Bullers in 1889, John Lewis Bullers in 1892 are all born in What Cheer, Iowa. 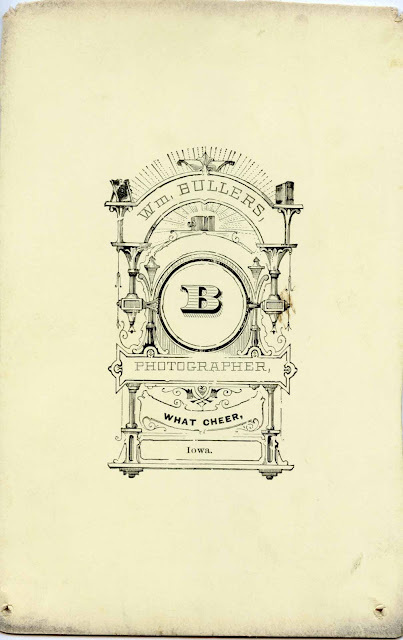 It is during this time William Bullers traveled by train to a town where a car could be left on a siding. Photographs could be taken using the train car as a studio, spending up to week in each town. Then the train would pick up the car and take it to next town, and the next, etc. 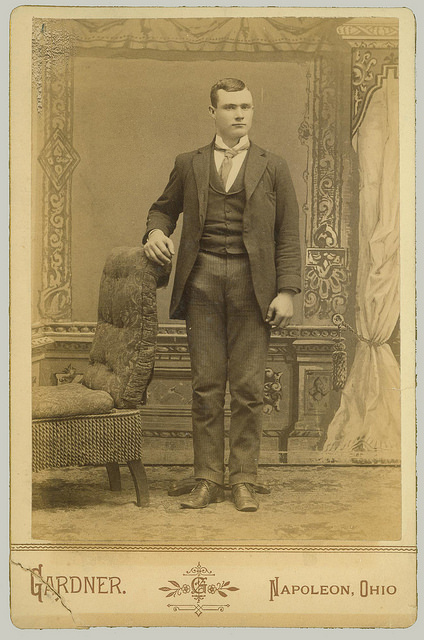 He would take pictures in every little town along the rail line. 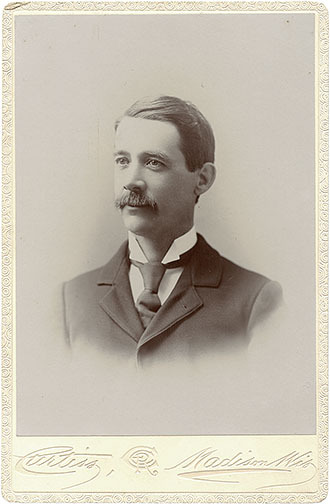 In 1889 William Bullers was elected on the Republican ticket to the office of Township Clerk which he served four years. 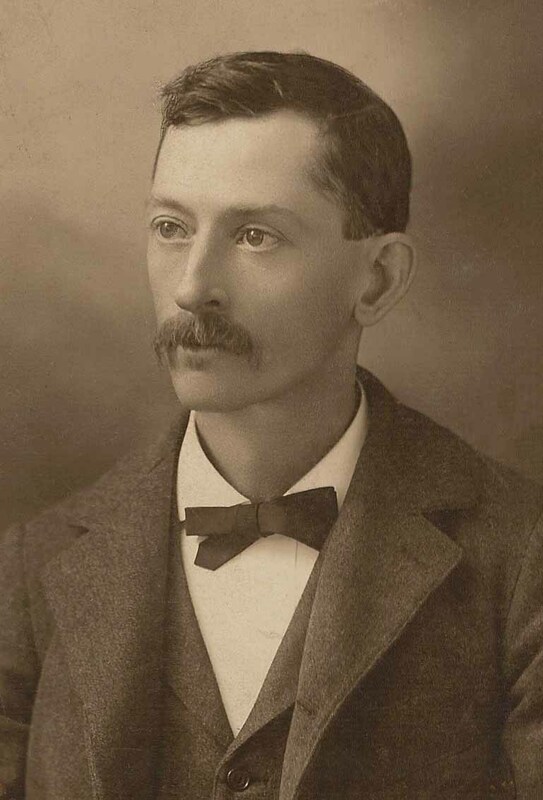 In 1893 he moved his family to Oskaloosa, IA, where he opened a studio on 216 West High Street. 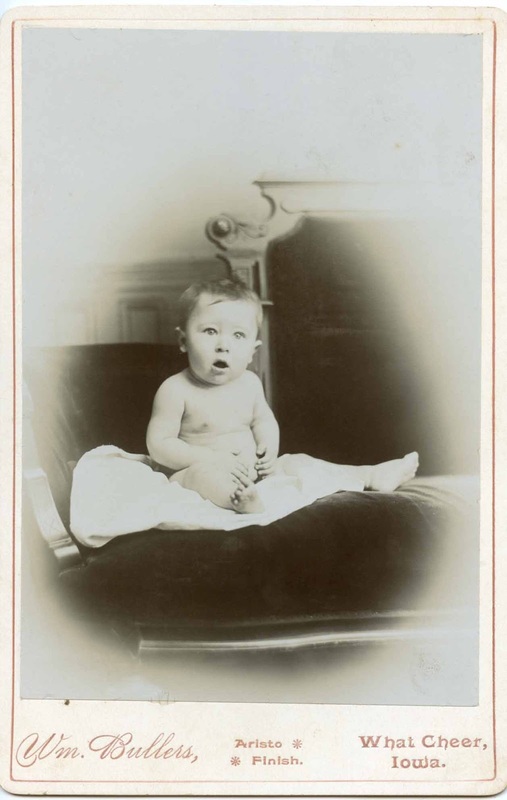 At some point in time he worked with a photographer named Hart in this studio. In 1897 youngest son Thomas Casey Bullers is born in Oskaloosa, Iowa. 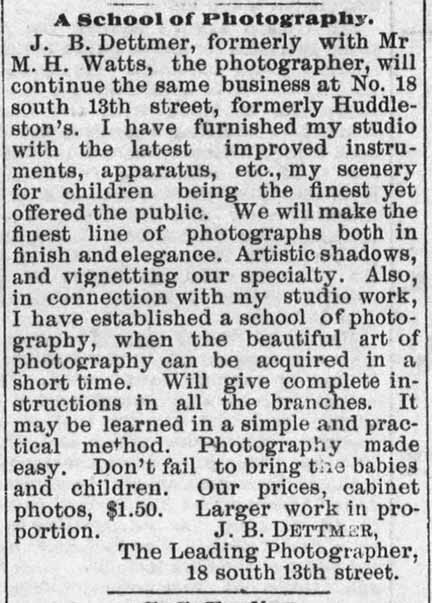 He moved his studio to 116 North Market Street, Oskaloosa. 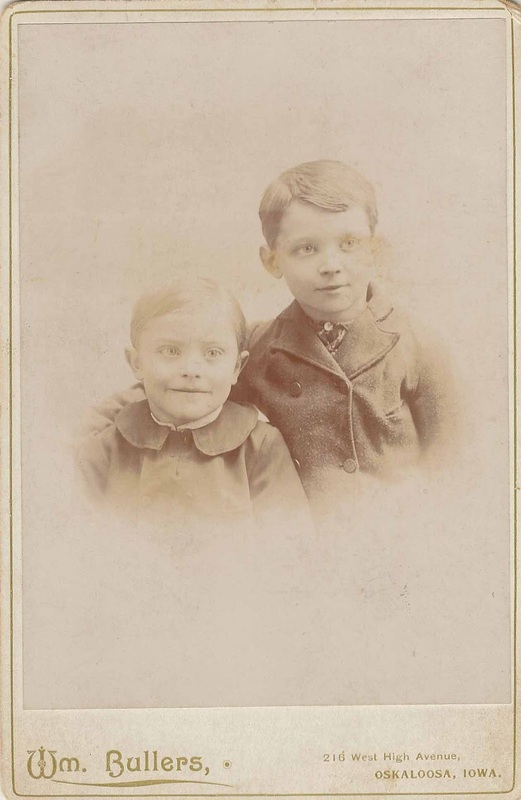 It was with his encouragement that three of his sons began and, also pursued the photography business off and on in their own lives. 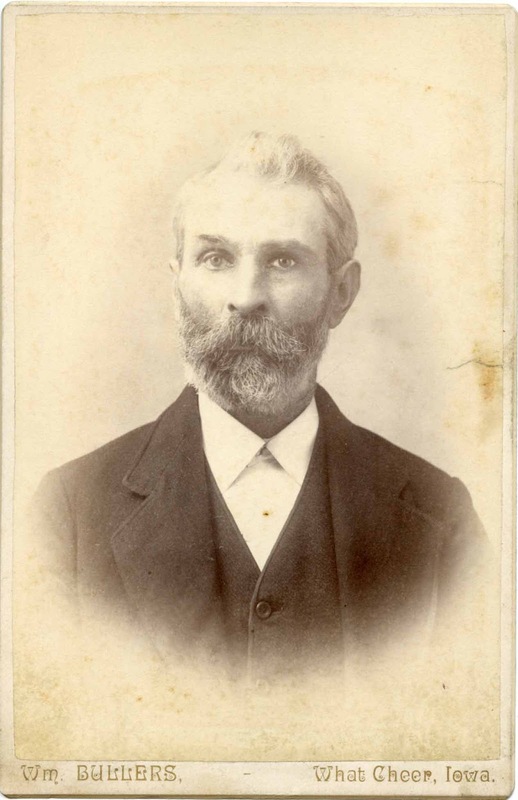 William Birdsall Bullers died at his home after being ill for 3 months, at the age of 58 years. William’s son, John Lewis Bullers, starting in 1907 at the age of 15, worked the Photography business all but a few years of his life until his death in 1968 thirty-six of those years at his studio, aptly named Bullers Studio in Williamsburg, Iowa. 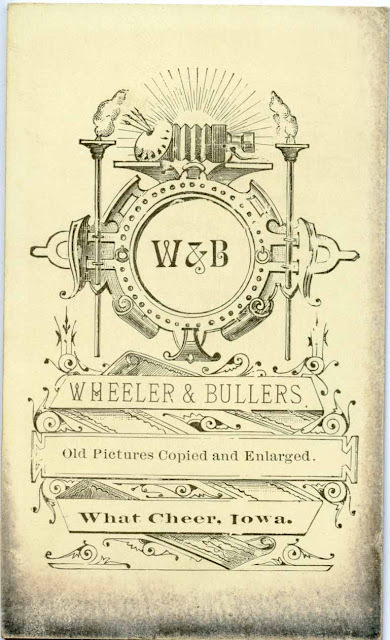 All material on this page contributed by the family of William Birdsall Bullers and Great Granddaughters of John Lewis “Pop” Bullers . 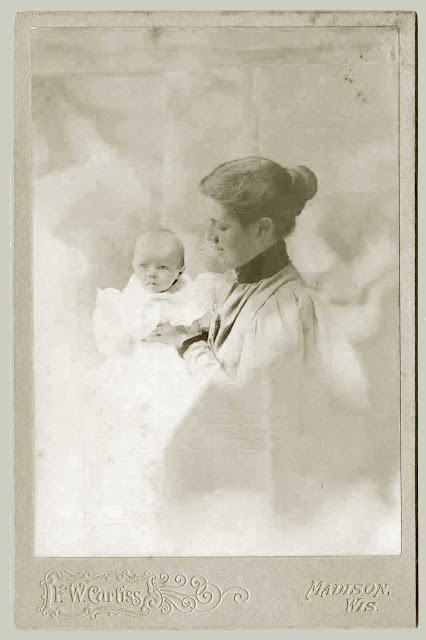 The life of photographer J B Dettmer was difficult to follow. 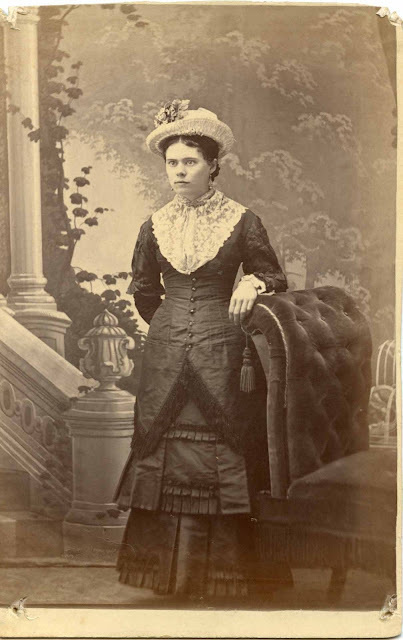 Not only was Dettmer a rather popular name in the 19th century, there were two or three people with the name J B Dettmer in that era, living in the vicinity of Muncie, IN. There was also a street in Ohio, a hospital and a baseball player with the name. 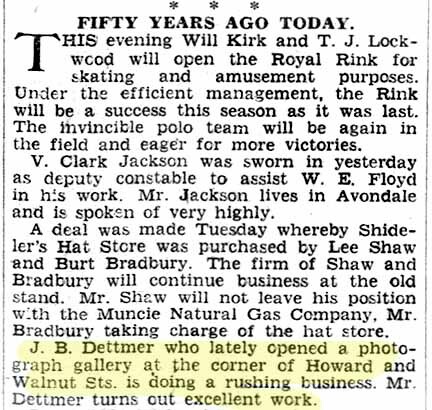 To further complicate matters, the photographer J B Dettmer moved around a lot, had several partners and kept himself out of the newspapers. Judging from his business activities by 1880, it must be assumed that photographer J B Dettmer was born about 1860. 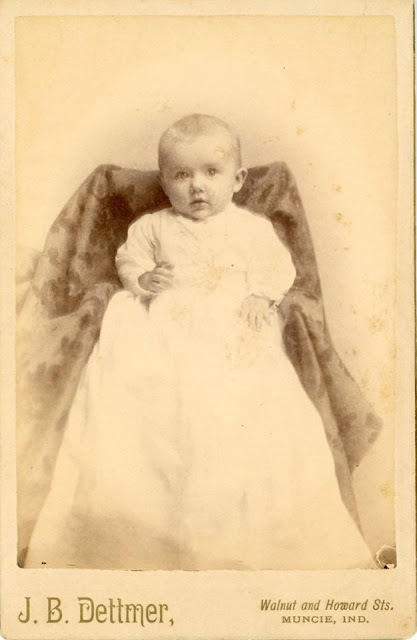 It also appears that he never married so the photographer John B Dettmer Jr that appears in some 1920’s San Francisco, CA, city directories was probably from another family line of Dettmers. 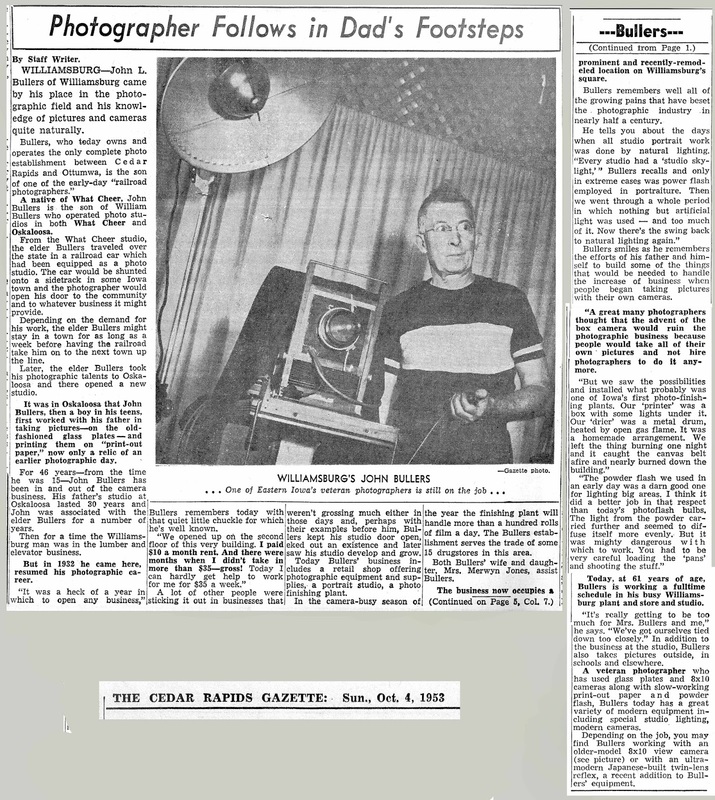 Here then is a timeline following the Ohio photographer J B Dettmer including many notations of where he wasn’t to help establish where he could have been in some of the record gaps. 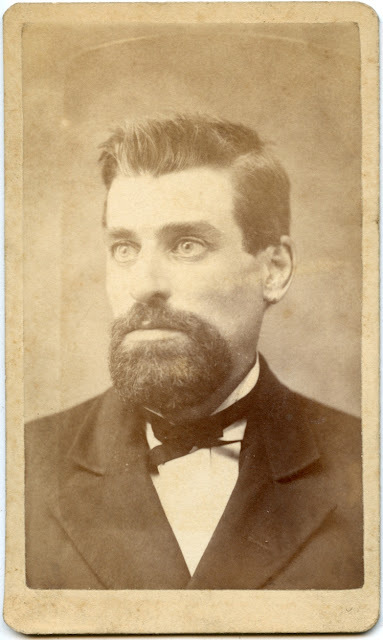 The cabinet card example at the top must have been finished in that period around 1890 - 1891 when he was found in Muncie, IN, city directories. 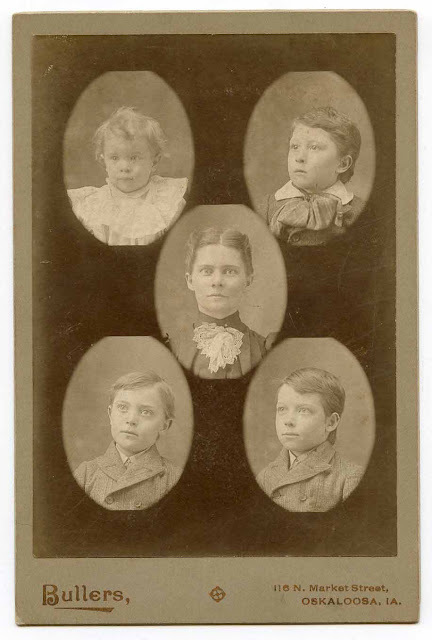 Here is an example of what happens when cabinet cards are stacked together for decades, undisturbed in a shoe box on the top shelf of the closet. The image of a photograph in the stack transfers to the reverse of the next image in the stack. 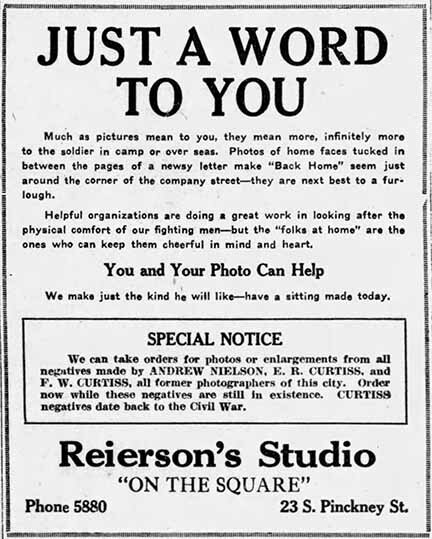 Wisconsin State Journal newspaper ad stating that the Reierson Studio is in possession of all of the negatives from E R and F W Curtiss studios. This might indicate that both have retired. 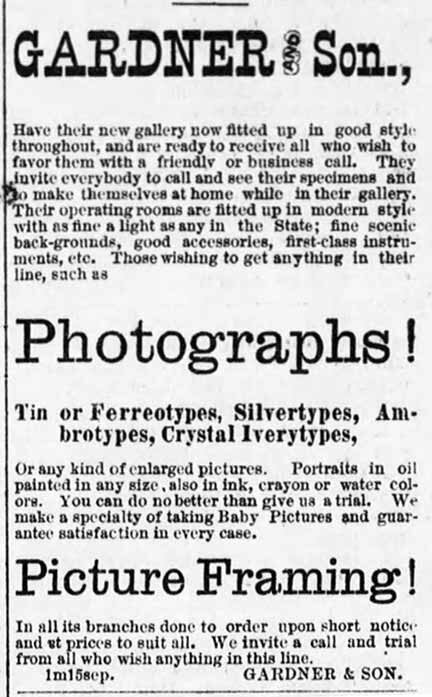 Wisconsin State Journal newspaper ad indicates that the negatives from E R and FW Curtiss are back in the possession of F W Curtiss. 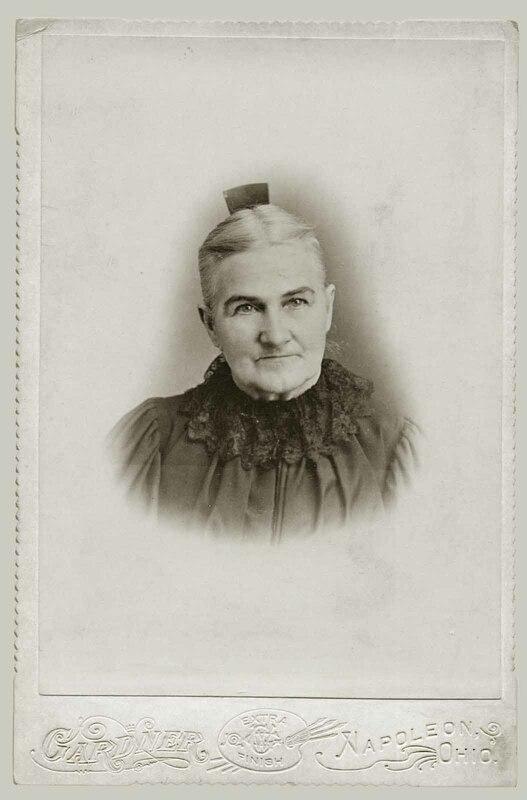 Madison, WI, US census: It appears the enumerator just skipped 123 e Gorham for the 1930 census. 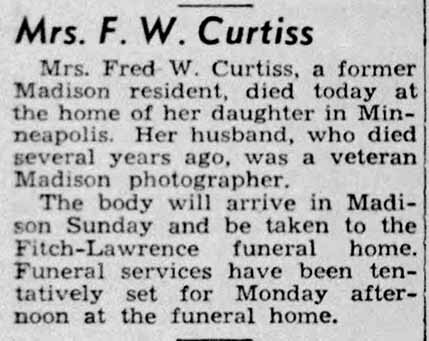 Although Frederick Curtiss and wife Katherine and her sister E Estelle Abbott were together at 123 Gorham in the 1940 census, the 1929 and 1931 Madison, WI, city directories, none of the three names can be found in the 1930 census. 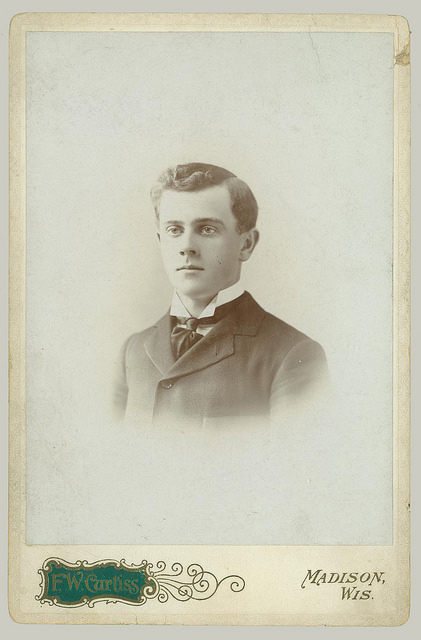 It appears that FW Curtiss worked in his father’s studio until about 1894. 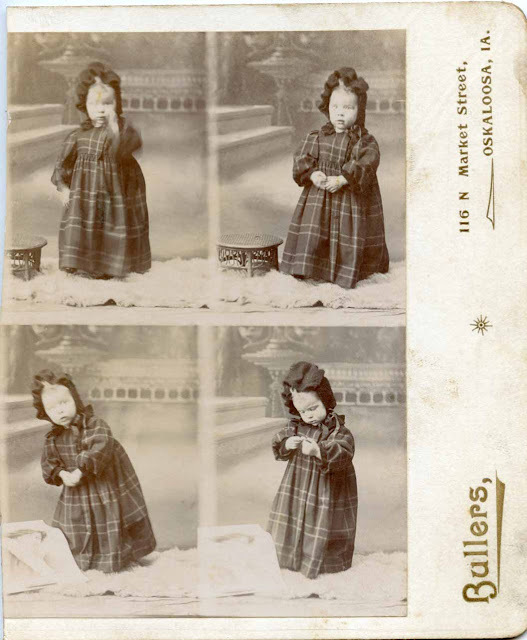 23 e Main in 1894 through 1898. Then from 1916 on he is not listed in the business pages, giving only his home address of 123 Gorham. He could have been working out of his home address after 1914, as many of the early photographers did, but the city directory listings do not indicate this. 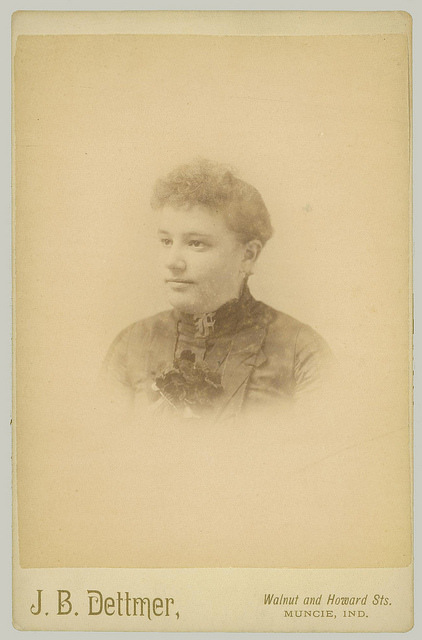 The cabinet card in this collection shows no address so it could have been done any time between 1894 and 1914. The design of the card would indicate 1895 or after. Actually, the above is probably not exactly accurate. 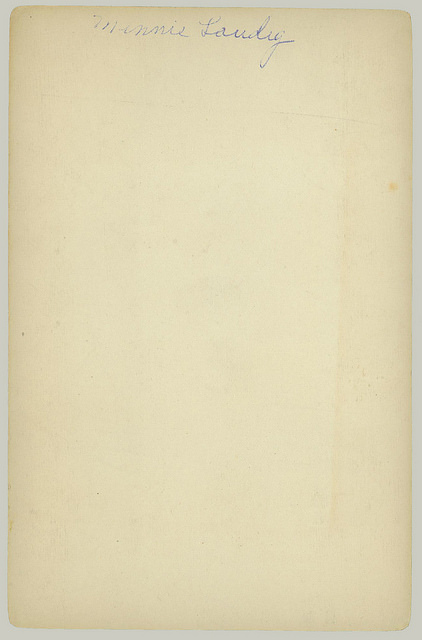 The city directories indicate the studio was already located at 108 State in 1900. 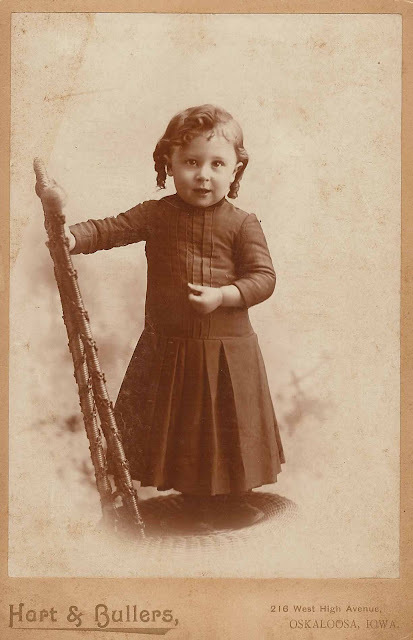 The studio remained at that address until 1914. 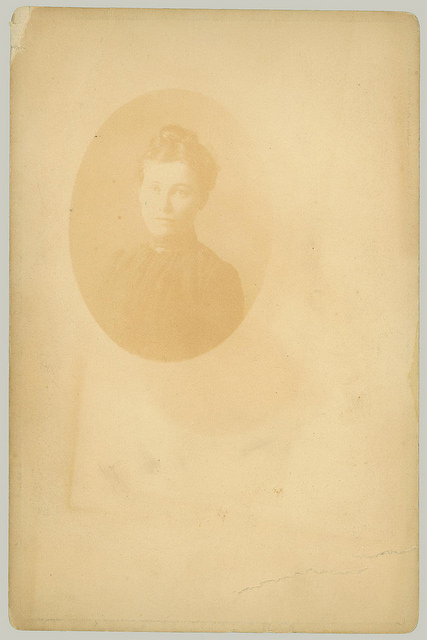 Dating of an example like the above will not be very accurate as no studio address is shown and indeed, WHICH Curtiss is not indicated. 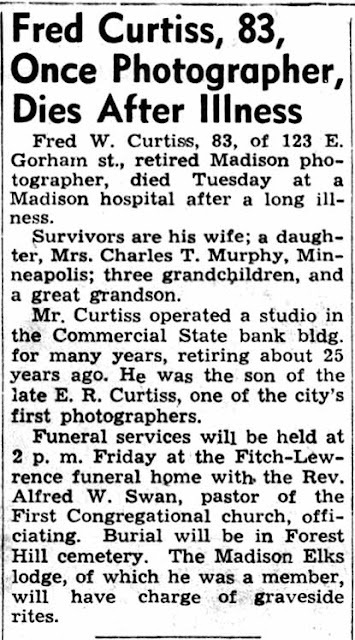 It should be noted that there were at least four other photographers of the era named Curtiss. 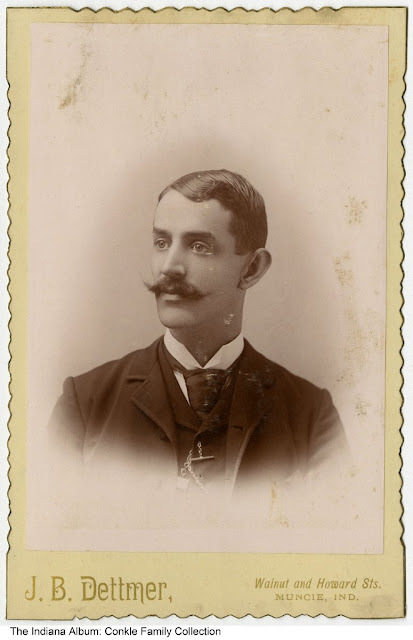 Nathan Selah Curtis, photographer in Syracuse, NY, was the brother of Edwin Rodney Curtiss. 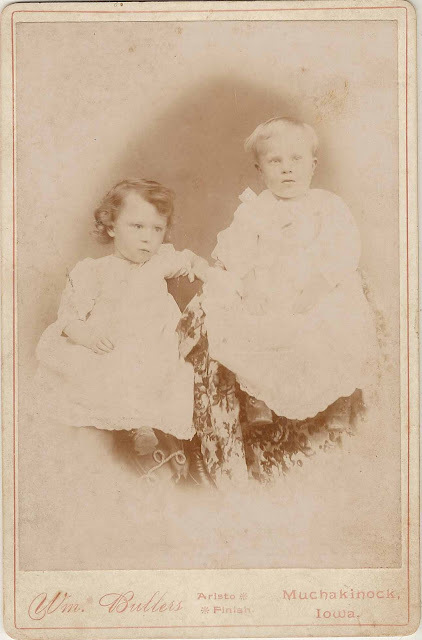 Edwin Rodney Curtiss was the father of Frederick Willard Curtiss, the photographer reviewed on this page. 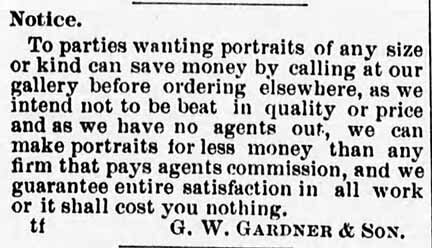 There were at least six George Gardner’s that were photographers in the cabinet card era. Three of them were in Ohio. 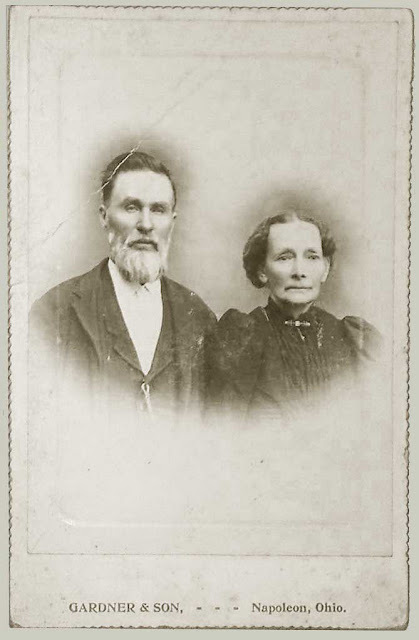 Two of those lived in Napoleon, OH. 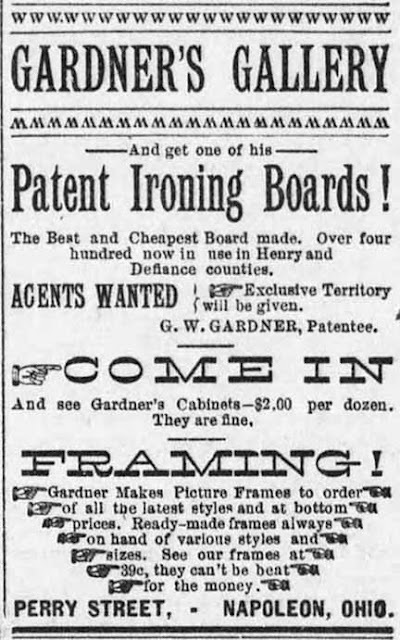 The cabinet card at the top could have been done any time the Gardners were in business in Napoleon, OH, from 1874 to 1920. 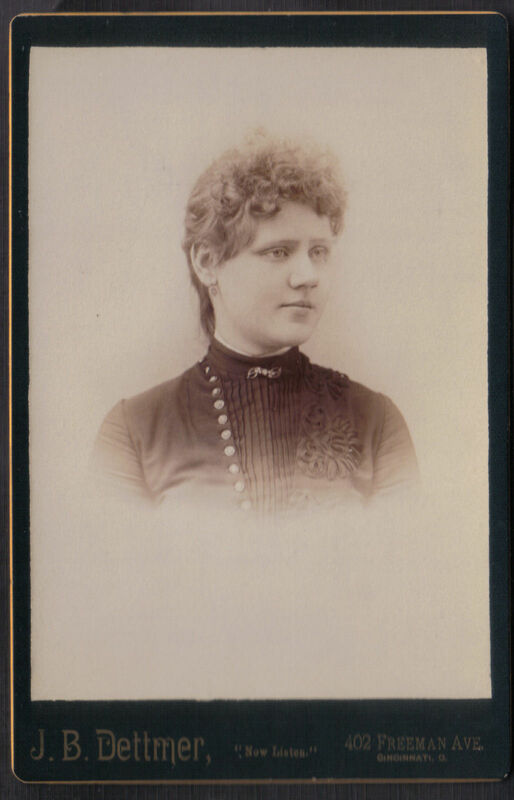 Quite likely the daughter Della carried on the same name on the cards after her father’s death. Since there are no addresses listed in the news ads or on the card itself, it cannot be dated closer than that. The style of the card would indicate the years around 1886 to 1890. 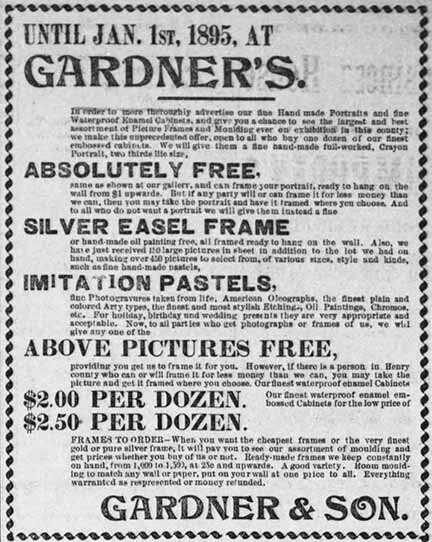 Any cards stamped Zanesville, OH, would have been done after 1885, when Gardner jr is said to have opened a studio there. 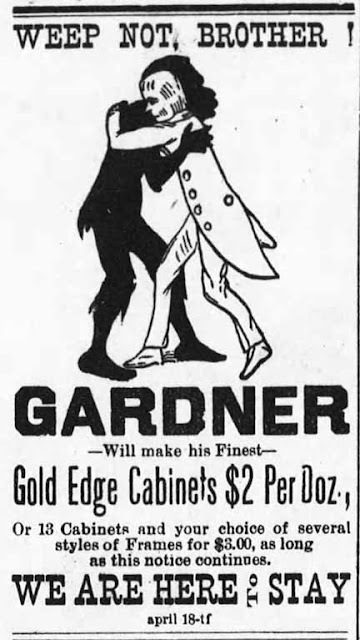 There could be some cards finished while Gardner jr was living in Memphis, TN, in 1919-1921, and some could have been finished while he was in Dry Valley, GA, around 1910. And last, the sad story of the passing of G W Gardner, JR.